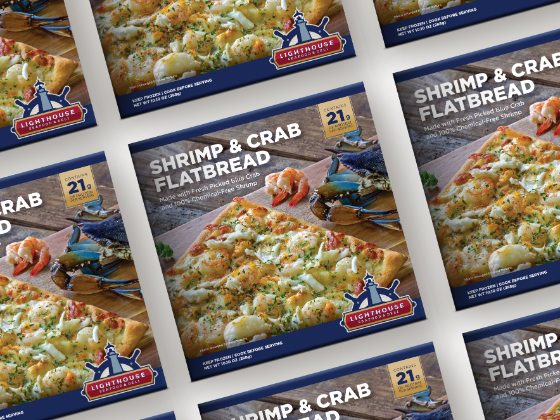 Lighthouse Seafood and Deli in New Market, Maryland, approached Octavo Designs to redesign their popular flatbread packaging. 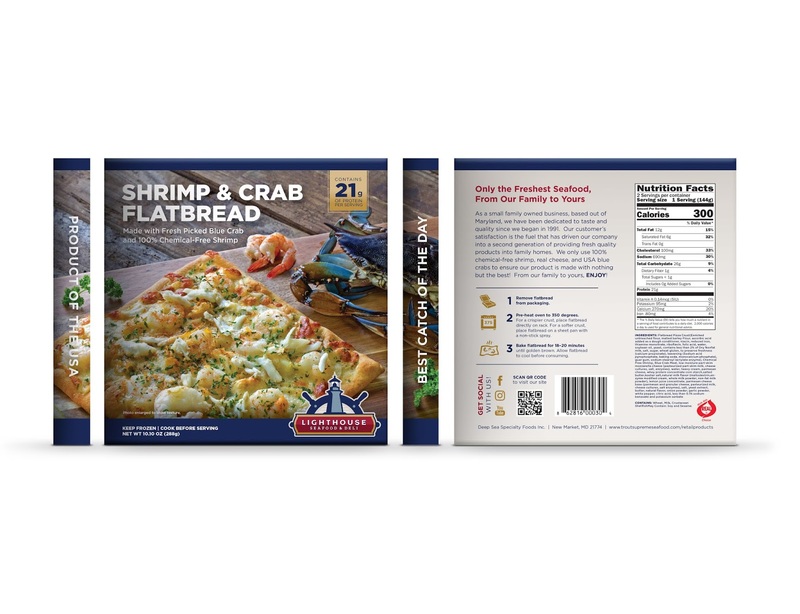 They were looking to propel the appeal of the packaging and its aesthetic, showcasing the product within the freezer aisle, and differentiating them from the competition. 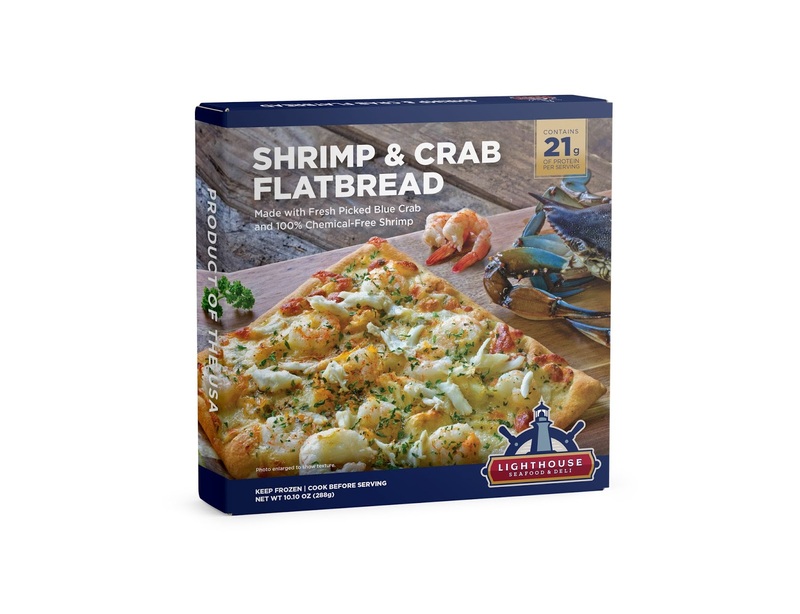 One of the main objectives of this family owned and operated business was to highlight that their products are made in Maryland with fresh picked and 100% chemical-free ingredients. 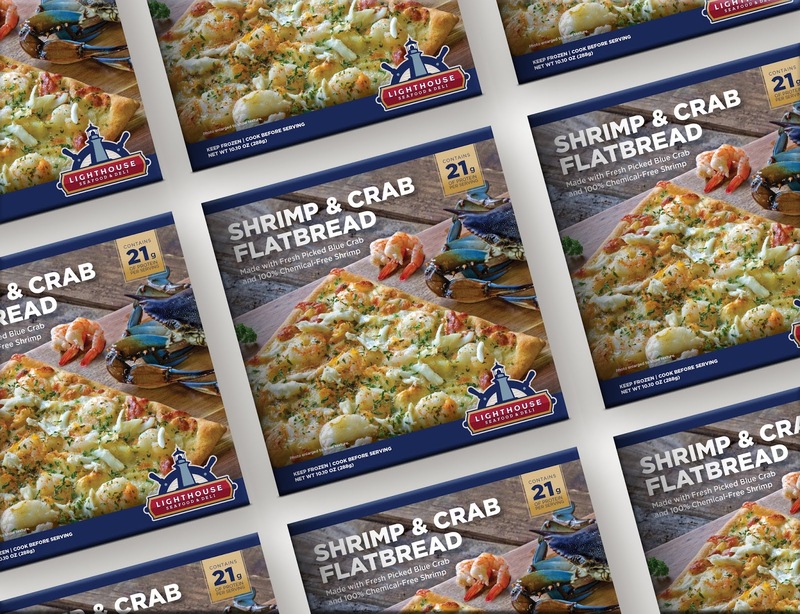 The Octavo team's redesign showcases Lighthouse Seafood and Deli's delectable cuisine through stunning photography and a refined, modernized design with a more authentic touch. 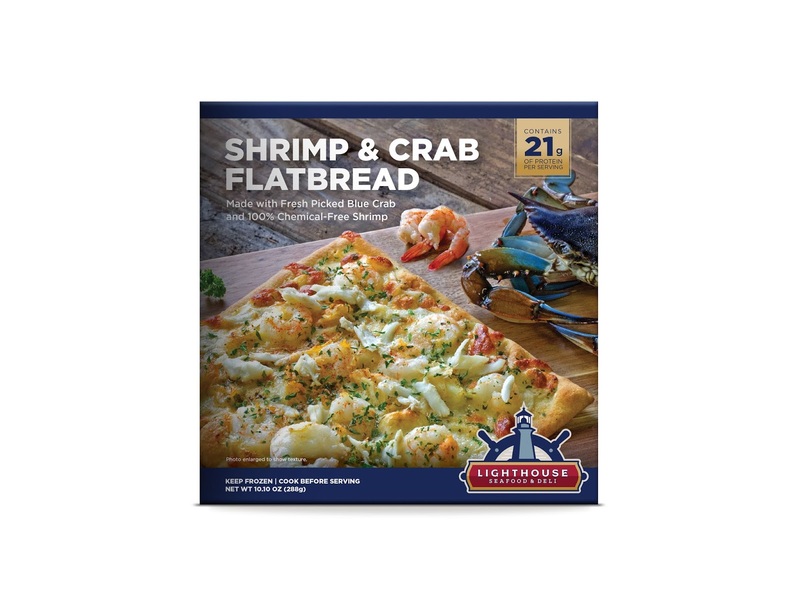 The Shrimp and Crab Flatbread is the first in the flatbread series.